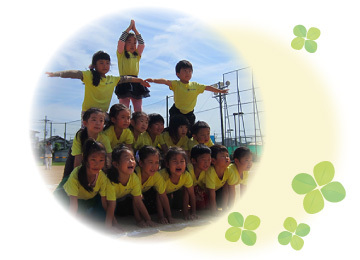 Since Tree House first opened in October of 2000, our teachers – both Japanese and foreign – have endeavored to nurture and educate all of our students in an English speaking environment. Our children’s generation will, 15 or 20 years in the future, be going out to join society. We adults who are concerned with the growth and development of our children must be aware of the reality of the obstacles they may face in the future, and prepare them to overcome anything they may need to. At Tree House we have a standard yearly, monthly, and weekly curriculum (covering English pronunciation, grammar, reading and writing, and composition, as well as arithmetic, outdoor activities, performances, and more) from ages 1 to 6 that we follow in class every day. 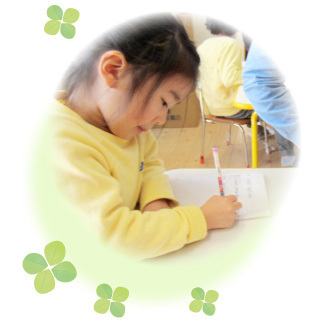 We are (prepared, organized for, ready) to accept children into our school from both Japanese and foreign families. Within the children’s daily life our staff will spend more time together with them than their guardians. At Tree House we take this responsibility incredibly seriously, and will continue to strive, in cooperation with families and society, to raise and teach the children who will one day bear the burden of the future.